Located in north of Jl Danau Tamblingan, behind Bank BNI in the street corner, 100m to Sindhu traditional market/night market), 500m to Sanur Beach. I got Rp. 100,000/night, fan, twin room, no breakfast. I really enjoyed my stay there, cheap, the room is very clean. The pool is small and there is breakfast for additional Rp. 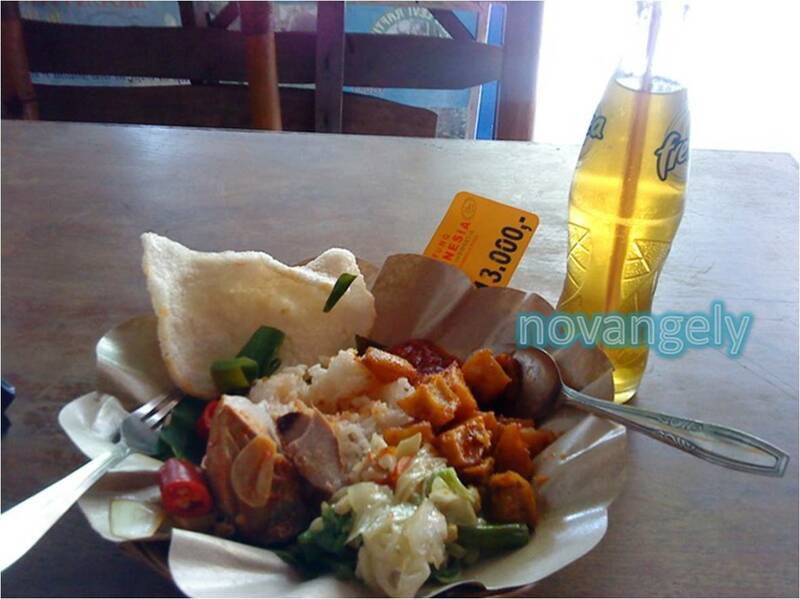 25,000, but you can buy Indonesian breakfast in traditional market for Rp. 10,000. 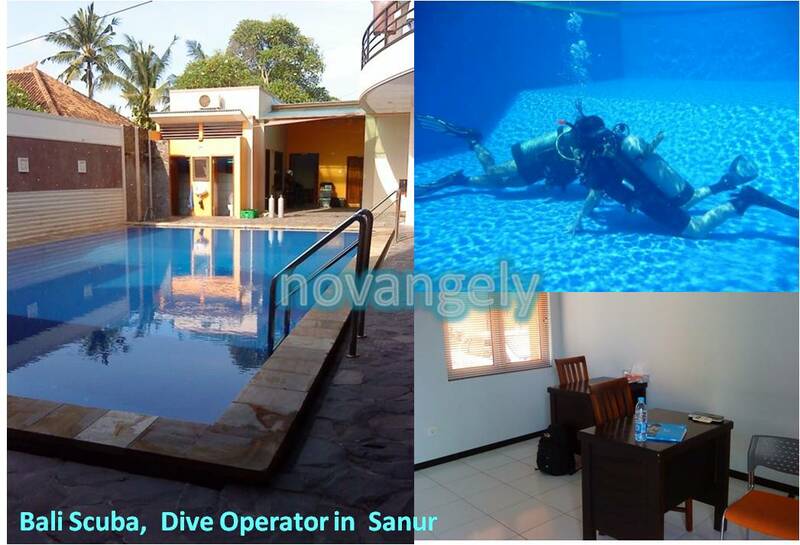 The light is very shady at night but the pool is clean, breakfast is nice, price is very value..
– PADI Open Water Course in Bali Scuba: Rp.3,200,000 for 4 days, usually foreigner given higher price. 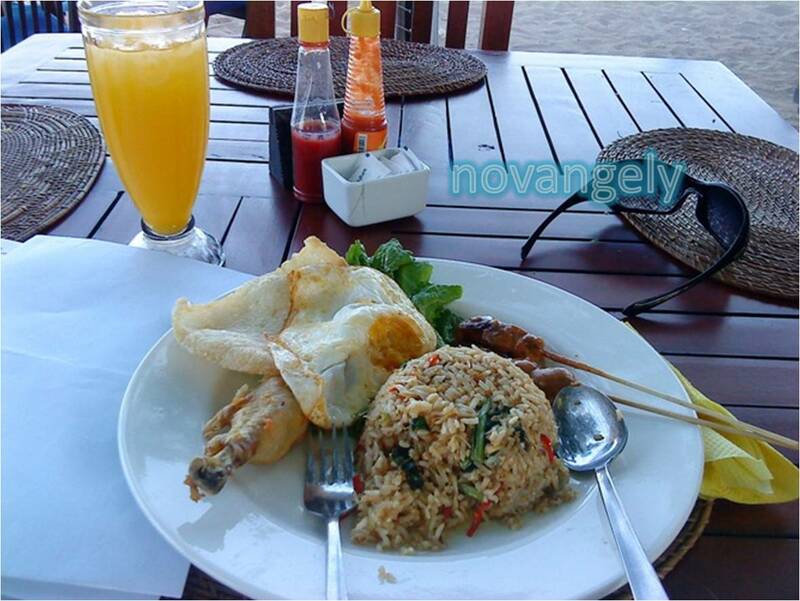 It is full package include certification, daily lunch and drinks, transfer from/to hotel, equipment etc. I took this journey basically to get the PADI open water diving license. I had enough fun with the party, beach, exploring the area in Bali. So I think it’s time to find something worth to do when visiting Bali next time. Something that will not make me feel boring.. so I chose diving. I enjoyed my fun dives before at Tulamben and Menjangan (yes, you can have fun dive in Bali without license/Introductory program). But I am concern if I keep taking the introductory program, I won’t know about the ‘real’ safety technique underwater.. that’s why I took this beginner license. I have checked with many diving operators in Bali. I got my eyes on 2 operators, Scuba Duba Doo in Kuta and Bali Scuba in Sanur. 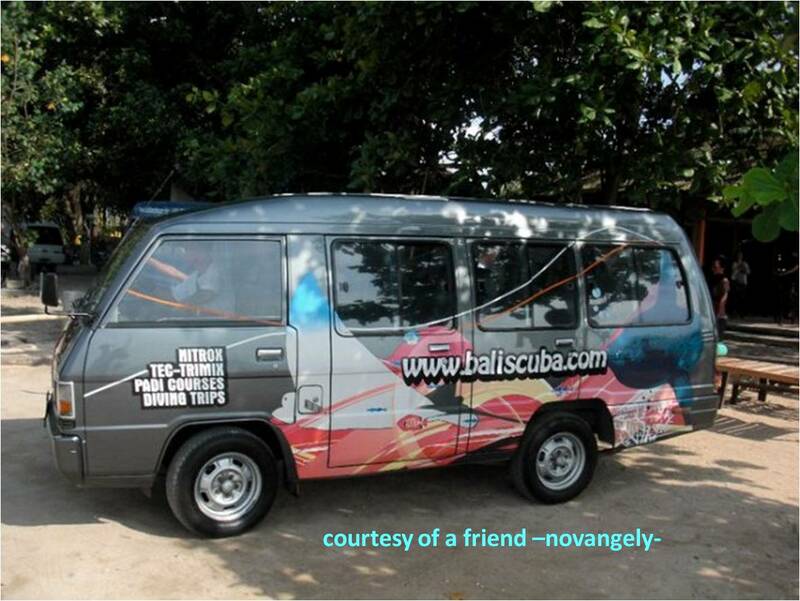 But in the end, my decision goes with the recommendation of a friend, I chose to have my course with Bali Scuba. Bali Scuba is a PADI Five Star Center, located in Jl. Danau Poso No. 40, Sanur. Thus I decided to stay in Sanur area. This is my first time to stay in this area, eventually I would move to Kuta but it’s something not to forget..
First day in Bali, as usual, after arriving at airport, I walked to airport exit gate to look for Bali Taxi (blue bird group). On my way, an Ojek Guy (bike taxi) approached me to offer his service, I got almost half price of taxi fare to Sanur so I went to my hotel at Sanur by Ojek instead. As I mentioned before, it’s my first time in Sanur area and I had to admit that this area is very quiet, far from airport or even my fave place-Kuta. The motorbike ride from airport to Sanur took about 20min. Then we reached my hotel which I got from internet, googling other travelers’ blog. It is very cheap (Rp.100k) with a pool. When seeing the place, I wasn’t disappointed. I thought the room I got is same as facility in budget hotel at poppies lane, kuta aka shady room, very standard bed etc. But instead, Little Pond guesthouse turned out to be a very clean place, only 18-20 rooms I guess.. the bed has a bed cover, there’s clean cupboard, the bathroom is very clean.. wow, this kind of hotel might cost double in Kuta. There is a small pool in the center (3 x 8 m), looks like a pond. Maybe that’s why they called this place Little Pond. Lucky me!! After putting down my backpack, I went to Hardy’s, the biggets supermarket in Jl Danau Tamblingan to find some water supply and snack for breakfast. There is Angkot (local public transportation) to go there actually, Rp. 5,000/way but I wasn’t familiar with that Angkot so I took a taxi for Rp. 15,000. Then, I went back to hotel, clean up and went to check the surrounding. 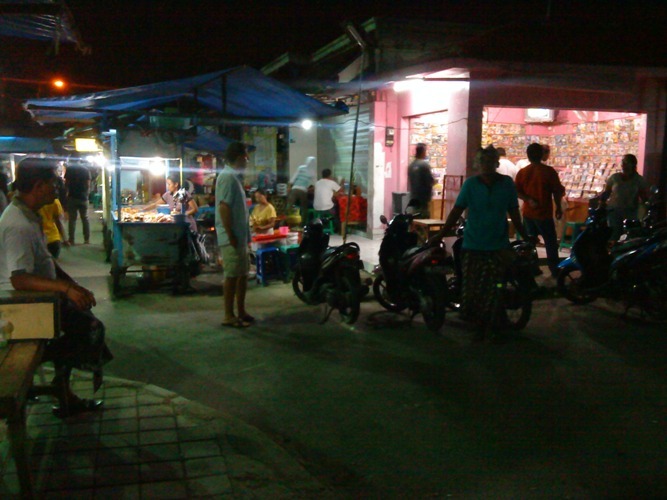 My guesthouse is located very close to Pasar Shindhu (traditional market). It also takes about 10-15min walk to the beach through Jl. Pantai Sindhu or 5-10min walk through the back alley, passing Bonsai Café. Very nice location! 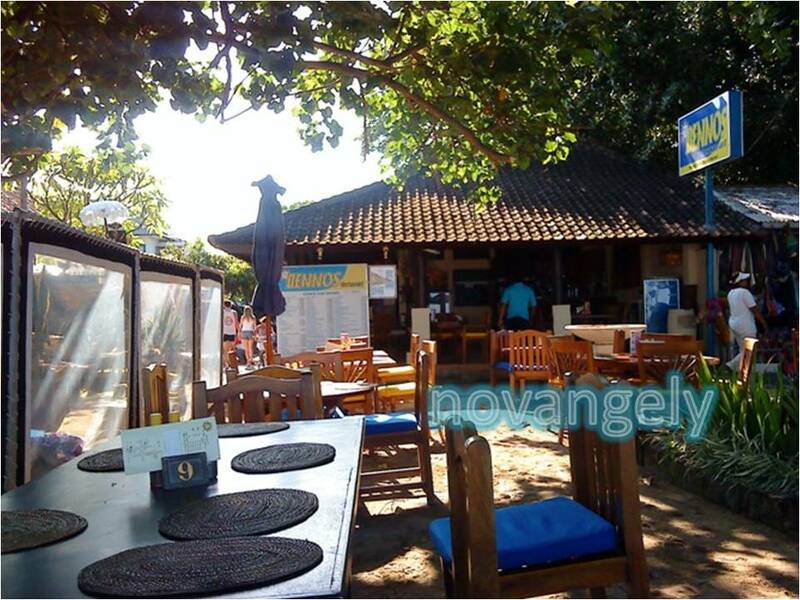 As for Sanur beach, it is full with cafés in front of the beach. There is like a jogging track, I tried to walk through it but it seemed never ends. I stopped by at Benno Café to have lunch-dinner of their house-special fried rice (fried rice, fried chicken, satay, crackers, sambal) and orange juice. The taste isn’t bad. 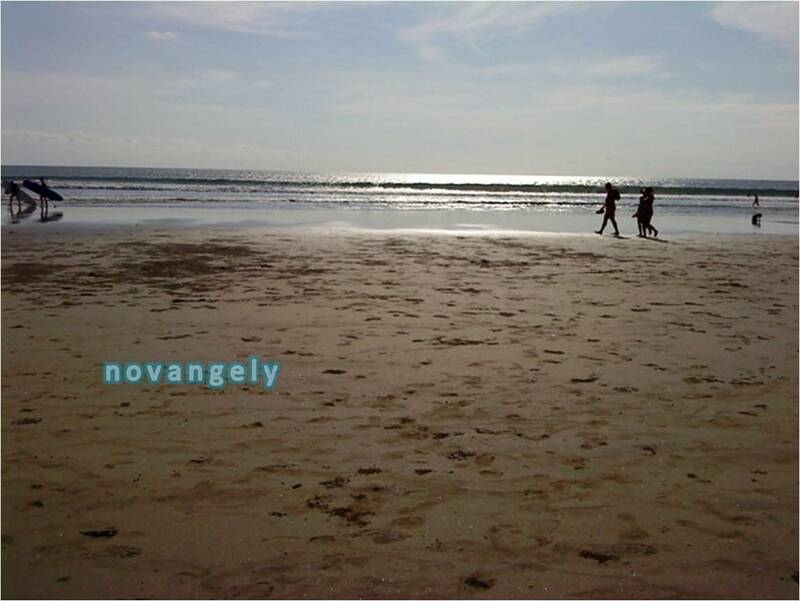 I spent my afternoon there, relaxing, watching the children playing around in the sandy beach.. so comfortable. At night, I was curious with the Night Market. So I went there and took a quick look. It is not a bad place, many foreigners had dinner there. There are many stalls: Fried Rice, Fried Noodle, Nasi Campur (mixed rice), Mie Ayam (indonesian chicken noodle) and many more.. I was worry with the cleanliness though so I didn’t have my dinner there. 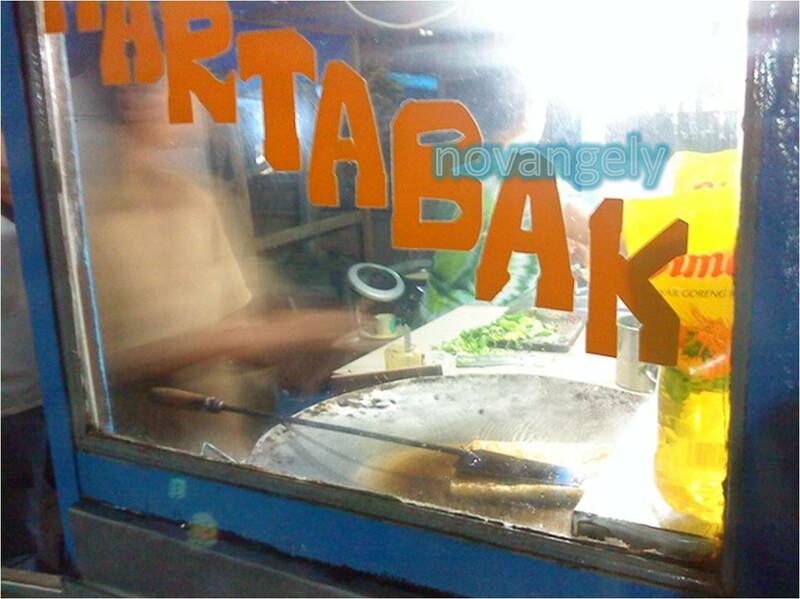 But I ended up buying an Indonesian snack called Martabak (mix veggies, eggs, flour fry), 2 bowls for eating cereal breakfast and a banana juice. This day I started my diving course. I was so excited that I couldn’t have a good sleep. Bali Scuba picked me up at early morning, 7:30. This day I also met my instructor for the first time. He is nice. Ow- the good thing about taking lesson at Bali Scuba is that you get free daily drink and lunch at the café next to it. 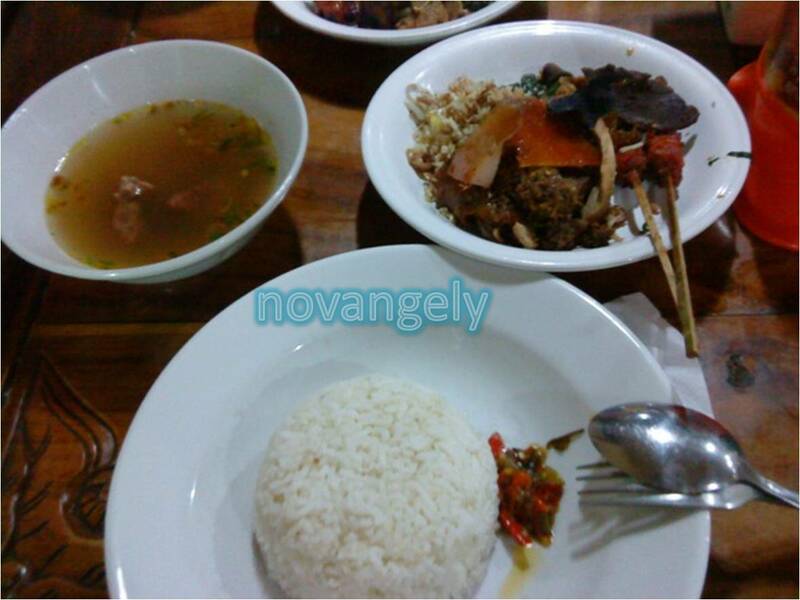 This time I ordered Nasi Campur and the taste was not recommended. The lesson ended up at about 16:00 and they took me back to hotel. I got really bored in hotel or with the quiet surrounding and I didn’t really want to walk to the Sanur beach, so I headed to Kuta. The taxi fare is crazily high to go to kuta from sanur (Rp.70,000). I went for window shopping at Matahari Kuta square, the variety is better than Matahari store in Jakarta for its beach clothes.. then I had my meal at KFC there, finally a good taste after having not-a-good lunch. I ordered the package which consist of a rice, a chicken, a spaghetti and one soft drink for Rp.20k. From Kuta square, I walked to Poppies Lane 2 to find hotel for my stay after diving course. I like Sanur but I rather stay there with a friend instead of Solo Travelling or when I want to focus my trip only for diving .. I checked-out some budget hotel in Poppies Lane 2. I know that the hostel there doesn’t accept advance reservation / only for walk-in guest. I checked Tunjung Bali (Rp.150k/fan room single, bfast,pool) and Losmen Cempaka (Rp.100k/fan room single,bfast,no pool) but both cannot be reserved. I really want to try staying there but.. maybe next time. Then I tried at Beneyasa Inn and it can be reserved with deposit money. Actually I didn’t reserve through the receptionist. It is really not recommended because on my check-in day, the receptionist said he never received the money. But it’s all clear later on because the person I gave the money is the guy who have rental car, the hotel partner. Fuh.. next time, no more reservation like this. After finishing my ‘business’ in Kuta, I went back to Sanur and tried to have a good night sleep. My morning started well. I talked with the friendly neighbors in Little Pond. I learned from them that it is good to greet “hello” “morning” and not to be afraid to ask anything. I just knew that there is a public kitchen there where we can cook anything we want. my next door neighbor is an Indonesian Lady who has travel and property business in Bali. She looks very independent and teaches me many things to make me not bored with Sanur.. Too bad I have no much time to hang around with her or other guest because of my course schedule. Anyway, the course went well, the lunch there was still not found anything good yet. 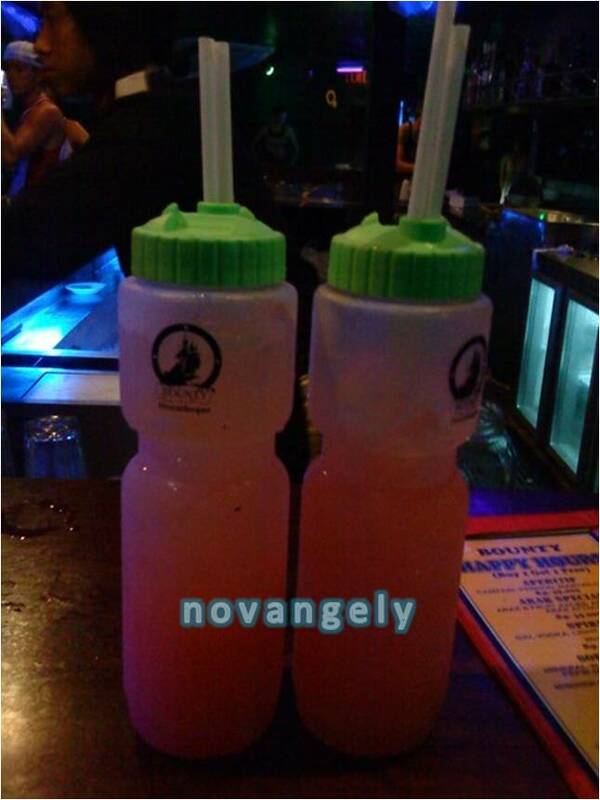 I met other student and at night, we went to Kuta for some Saturday night entertainment. I finally tried to take Angkot from my hotel to meet them near dive center and then we went to Sky Garden, Kuta. Kuta night was kinda quiet that time. Maybe it is still too early but I dunno. I was in Bali last year, same period but I think last year was more crowded. Maybe because many flights cancelled due to volcano eruption in Central Java. The night out was fun, met some aussies.. crazy!! too bad we have to leave very early. We didn’t wanna be tired for our next day diving ..
As usual, my morning started with friendly talk with my neighbors while waiting for my pick-up. It was Sunday and there was a Sunday Market in Sanur. Some guests were going there. Too bad I had my diving course. Today’s course is the ocean session 1. We went to Tulamben for 2 dives, 2.5 hours drive from Sanur. The road kinda made me sick a little, maybe because of the night-out last night and the mountainous road. Thanks God the nausea was gone when arriving in Tulamben. 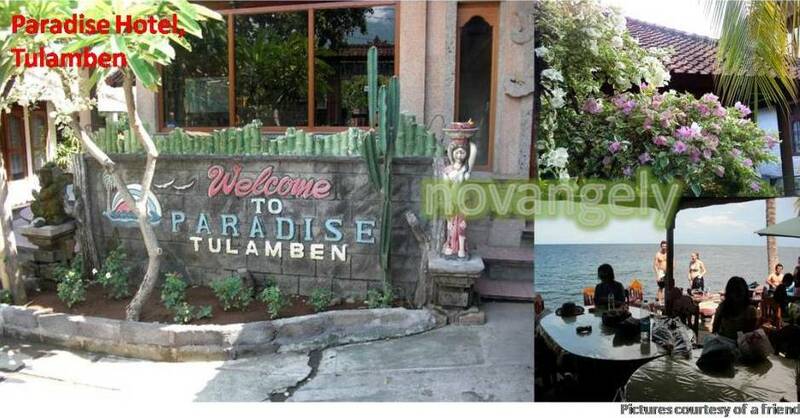 Our stop point is at Paradise Hotel, Tulamben, put our belongings there and set up the diving equipment. After briefing, I started the first ocean dive in the USS Wreck. It is my second time in Tulamben. The underwater world there is so beautiful, love it, but I have to focus more on my instructor :9 After lunch (the lunch was good!! Thanks God!! ), we had our second dives in the different dive site. I felt a little tired after my second dives, dunno because of my instructor swam too fast or the effect of night-out. Anyway, the course day 3 went well. It was my friends’ last day of course, so we went for a night out again. It started with dinner at Babi Guling Chandra in Denpasar. They serve Suckling Roasted Pig Meat in variety, we ordered the complete combo. Price is about Rp. 30k, cheaper than our taxi fare from Sanur to Denpasar LoL. It was 8pm and there was still plenty left to have. We thought the restaurant has closed in that hour. Babi Guling Chandra is one of the famous restaurant serving Suckling Roast Pig in Bali. The best one is actually in Ubud called Ibu Oka, I think. The taste is better in Ubud than this restaurant. After friendly talk and farewell with my neighbors at Little Pond Guesthouse, I headed for Bali Scuba and then Sanur for my last day of diving course. The course that day went hm.. could be said almost nightmare..also quite challenging. Why was it a nightmare? I almost lost my patient with my instructor who pushed me so hard. Just couldn’t stand it anymore that I was finally yelled at him, stopped the course a while and had a slight thought not wanted to finish it. But when I was able to calm down, he stopped pushing me, and I continued the lesson and finished it. 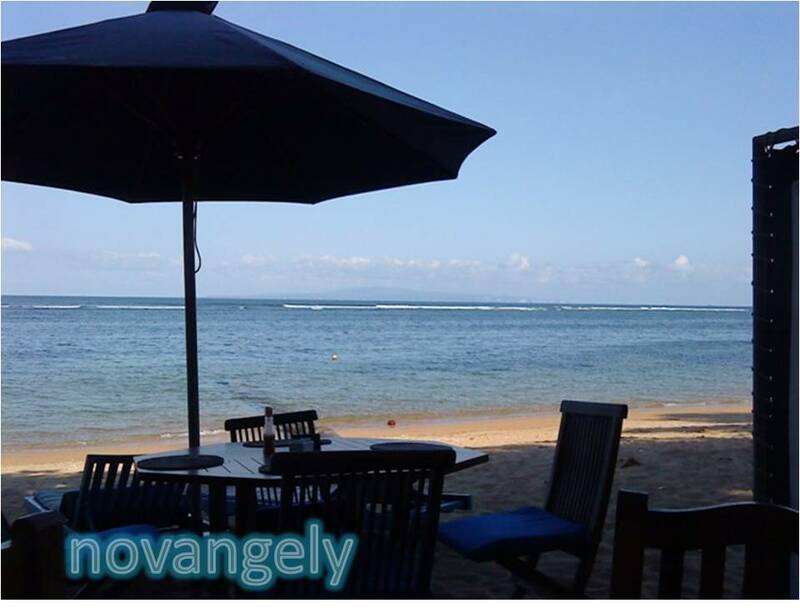 Sanur is a regular dive site, not much too see but can be very challenging due to its strong current. My instructor had to drag me also on our second dive when returning to the boat. It was crazily hard to swim in that kind of current. Well, the good thing is that the course was finally completed. I got my license eventually, also got new diving friends. They joined me for fun dives in Sanur, but their level is much higher than me. Then it was time to get back to my fave place ever, Poppies lane, Bali. I miss this place, mostly when visiting Bali, maybe because it is crowded and you can easily get what you want. The other best thing with Bali Scuba is that they take you back to your hotel, even it is in Kuta, for free ^.^ I went to Beneyasa Beach Inn, check in then went for a relaxing massage at Angeline Spa. It is located in Jl. Legian, about 20min walk from Bali Bomb monument though, but I like the place. It was clean, nice service, big room and cheap 🙂 I had 90min body massage for Rp.75k., so cheap. In Jakarta, it might cost more than Rp. 350k. At night, I had no energy for party so instead I had dinner with my friend at Warung Indonesia and then hang out at Mini Mart Kuta. I woke up early as usual, clean up some laundry and went for breakfast. 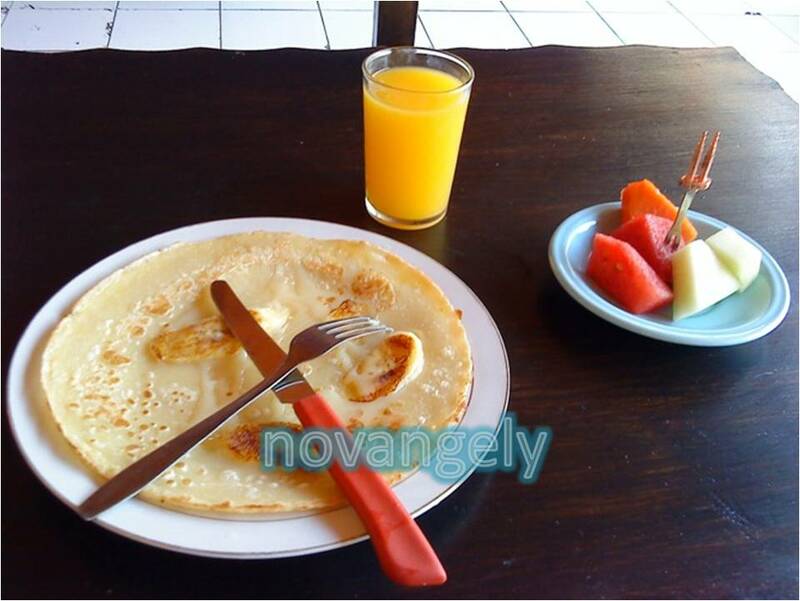 I had banana pancake and orange juice, not bad. This is my third time staying in Beneyasa and it is my first time to be able to have their breakfast :p what I love about this place is their clean pool. I like to relax there, so I did it after breakfast. The water was so nice in sunny day, I got some tanned to my ‘yellow skin’, it felt good. I had lunch in Warung Indonesia with a friend and then did some shopping at Melasti Market. Shopping there is cheaper than in Poppies lane shops. I bought some Kain Bali (Bali Sarung/cloth) and short pants for Rp.25k. too expensive but I had no energy to bargain lesser than that, although I drank RedBull in the morning hehehe… from Melasti market, I walked to double six street through Jl. Padma and Jl Werkudara. I walked through these streets while checking out the hotels for my family trip next year. 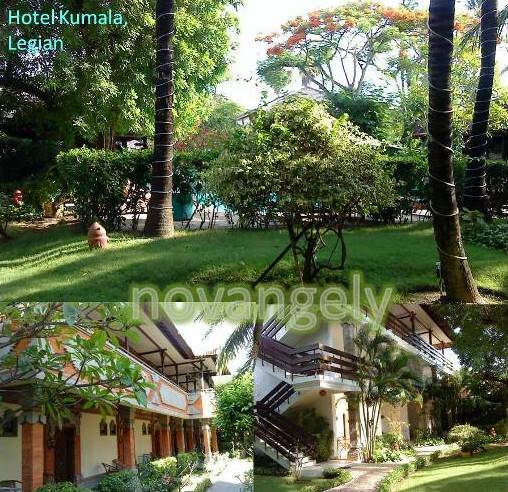 I found a nice hotel called Kumala Hotel (Grand Kumala not Kumala Pantai). This hotel looks nice, 5min walk to the beach, it has 2 pools. The old pool was too ‘old’ but the second one is nice. There is a nice garden in the center. 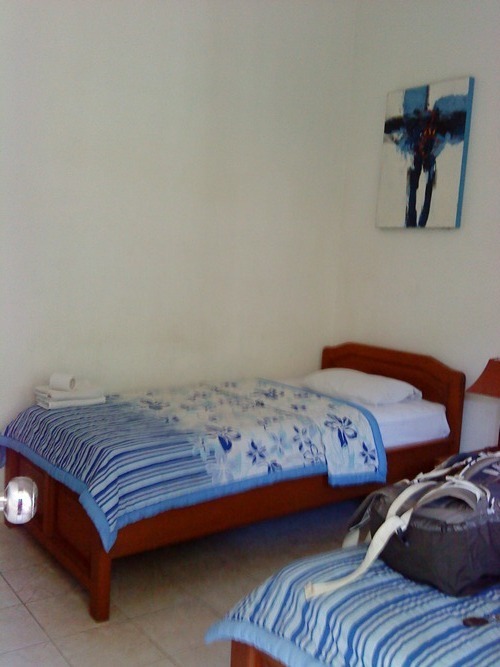 Price is also not bad (Rp.275k for 2011, standard room, double with bfast, AC). 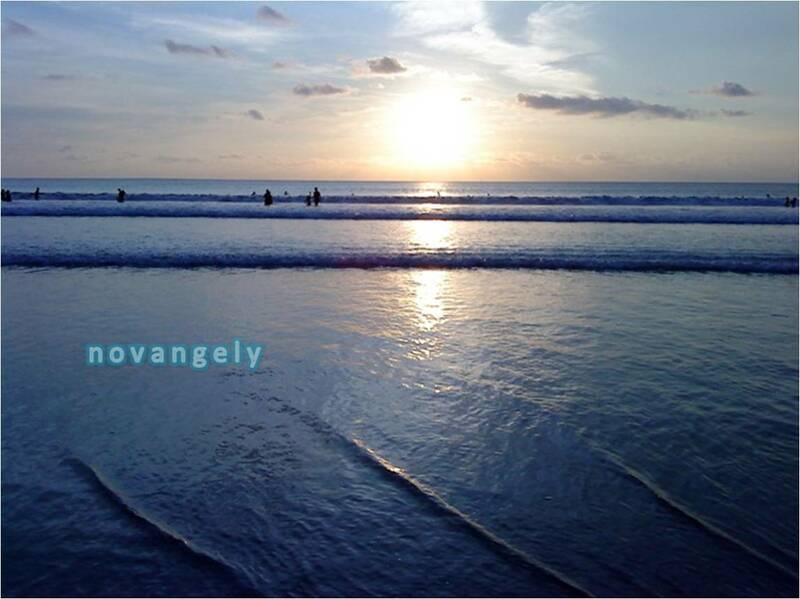 Then after got what I want, I went to Legian beach, renting the beach bench till sunset. It was so nice, so quite.. the air breeze, the sound of waves.. so relaxing.. I got sleepy so better I went back to hotel, cleaned up and dressed up. At nite, I had dinner at Warung 96 with my friend and we enjoyed Kuta till morning. – Everything starts from a “Hello”. You can get new friend just by greeting them “Halo” “Good Morning,” “How are you today?”. So don’t be shy to use this magic word when you meet stranger at hotel or pool or restaurant.. I know that we were taught not to talk to stranger.. but I think we are grown-up enough to know, who is bad or not..
– Somehow I feel people I met in Sanur are more friendly than people I met in Kuta. Hi! I just want to say thank you for putting up your blog. I’m going to travel solo to Bali this September and your blog helps a lot. I’m a female Indonesian, do you have any safety tips for me especially that I’m on a budget? Thanks for reading my blog. Glad if it could help. Other than that, Bali is a safe place.